Bones Brigade: An Autobiography – When six teenage boys came together as a skateboarding team in the 1980s, they reinvented not only their chosen sport but themselves too – as they evolved from insecure outsiders to the most influential athletes in the field. A must watch if you have any interest in skateboarding. We learn many history lessons as we watch current interviews and classic footage of some of the best skateboarders on the planet. We hear the story of how Stacey Perelta put together an all star team of no name skaters, Tony Hawk, Steve Cabellero, Mike McGill, Lance Mountain, Tommy Guerrero, and Rodney Mullen. The episode is full of great conversation since most of the information was new to JB, but very personal to Drew who was and still is a skateboarder from Southern California. 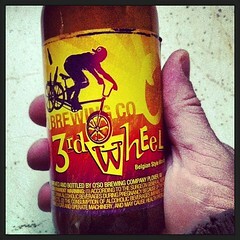 Beer On Dudes! This episode is brought to you by Jeff’s Spirits on Main, a local full service beverage center, located close to the D&D Farm, in West Bend, Wisconsin. 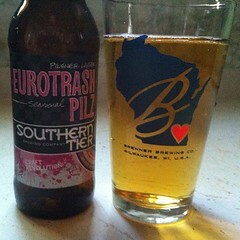 For this review we’re drinking Southern Tier Eurotrash Pilz and O’so Brewing 3rd Wheel.